Private and safe location with private pool rental villa! 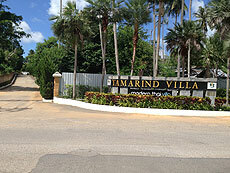 Tamarind Villa is a rental villa located at southern of Phuket between Chalong and Rawai Beach. 3 to 4 Bedrooms have a gorgeous private pool. Each detached spacious and walled villa is fully equipped for your convenience and privacy. On the main road to Rawai have Shopping center and restaurants closed by.